Really digging the snow and cold! I can’t believe I am saying this, but winter is starting to grow on me. It took 42 years, but I am finally appreciating all the season has to offer. 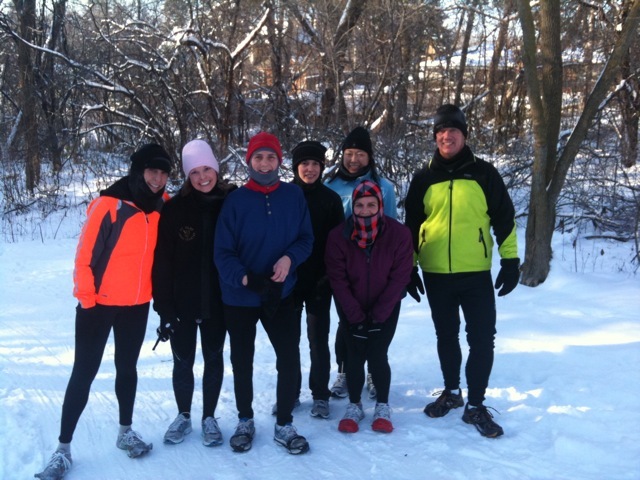 Wednesday, when we left the club for our morning run it was less than 10 degrees. A year ago, I wouldn’t have been caught dead running outside in these types of conditions. But since the beginning of last winter, I have slowly acclimated to colder and colder conditions. My first half marathon was October of 2009 in Ashland Wisconsin. The temperature when the starting gun went off was 29 degrees. I remember I couldn’t feel my legs or toes for the first 4 miles. That was it. From then on, if the thermometer was below 30 degrees. I wasn’t going to run. Then a few instances came up where if I didn’t get out for my morning run, I wouldn’t be exercising that day. So one day I tried running at 25 degrees, another at 23 and so on and so forth. Then Wednesday, I hit a new milestone: single digits. What’s even crazier is on this day.. the coldest morning I had ever run in my life so far, I never felt cold or uncomfortable, not even for a minute. The frost on my eyelashes actually felt good. 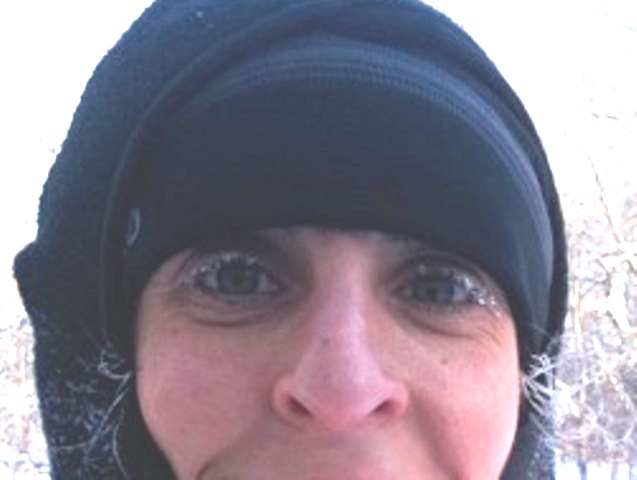 The more I am running outside in the winter months, the more I am starting to enjoy it. Yesterday, we even went off-road on snowy trails. It was exhilarating. We got back to the club and I felt so refreshed and so proud. It seems like when you are up against the toughest elements, you finish feeling even better. You’ve accomplished something you didn’t know was possible. Just ask the rest of the crew. So how do we stay warm in the freezing temps? I learned from the best to duct tape the toes of my running shoes. And it works. No more cold toes. Forecast calls for 6-12 inches of snow on Saturday in the Twin Cities. I can’t wait.!! Who’s with me?